Starting on February 4th—to celebrate 300 episodes of the Winchester boys and all their demon-hunting adventures—TNT is hosting a three-day fan-favorite marathon of Supernatural. Fans can join in on the conversation using #SPN300. Also: Cemetery Tales: A Tale of Two Sisters wins big at Hollywood Reel Independent Film Festival, Continue Short Film Initiative extended deadline details and Gehenna & Hinnom Books Kickstarter details. TNT's Supernatural Fan-Favorite Marathon Details: "To celebrate the 300th episode of the hit series, Supernatural, TNT has curated the top 25 fan-favorite episodes, which will air February 4 – 7th. 1 pm – Inside Man." Cemetery Tales: A Tale of Two Sisters: Press Release: "Tea Time Productions is thrilled to announce its short film, Cemetery Tales: A Tale of Two Sisters has been named Best Short Thriller at the Hollywood Reel Independent Film Festival. The festival is set to open on February 12th at the Regal Stadium Cinemas/LA Live and run through February 22nd. It is slated to screen on Friday, February 15th. Cemetery Tales: A Tale of Two Sisters stars Traci Lords and is the directorial debut of Chris Roe. The film premiered this past fall at the Sitges Film Festival in Spain garnering notice from the international genre community. A Tale of Two Sisters is set in the year 1949. Lords play an aging Hollywood star mourning the loss of her beloved sister on the one year anniversary of her death. When the truth of her murder is revealed, a surprise visitor returns. Presented in stunning black and white with timeless orchestration, the short also stars Bruce Davison, Ros Gentle, Michael Broderick, and Monte Markham. A Tale of Two Sisters was produced and directed by Chris Roe and is a Tea Time Production. The film is dedicated to Roe’s good friend and client, the late George Romero. Of trivia note, much of the production was shot in the former home of director James Whale (Frankenstein, Bride of Frankenstein, The Invisible Man and The Old Dark House). “Chris Roe has given audiences a dark, eloquent tale which for all its brevity, plunges us into a world that remains a potent memory long after the credits roll. Shot with elegance by Alex Wysocki and enriched by a score by Jonathan Hartman which has a classic feel, Mr. Roe’s ‘A Tale of Two Sisters’ is made with a welcome love of style and subtlety," commented Clive Barker (director and writer of Hellraiser). Darren Bousman (director of Saw II-IV) added, "Stylish and confident, original and utterly unique. Chris Roe is someone to keep your eye on. Noir never looked so good." Continue Short Film Initiative Extends Deadline to Submit Short and Long Form Scripts: "Overwhelming Response Leads to Extended Deadline for Continue Short Film Initiative. Deadline to submit short and long form scripts to Continue Short Film Initiative extended to 5 pm AEDT February 8th, 2019. Up to $10,000 funding for emerging filmmakers with a feature film or TV series concepts to create a short film through the Continue Short Film Initiative. A chance meeting with Jason Blum-inspired Producers at Continuance Pictures to adopt a radical new film funding model Continuance Pictures partnered with Inner Voice Artists with a common goal to share and promote diverse creators, talent and stories. Busan International Film Festival was in full swing when producers at Continuance Pictures talk with Jason Blum lead to a new film fund initiative. After discussing their plans for their newly minted production company, producers Tristan Barr and David Gim were inspired by Blum’s frank and thoughtful advice about shooting with low budgets and testing content with short films. Continuance Pictures launched the “Continue” short film initiative in January, offering emerging talent the opportunity to prove themselves on the world stage. With an aim to inspire innovation and harness the potential of the current media landscape, the new studio will foster a creative culture in which bold choices are rewarded. With such an amazing response from talented filmmakers around the world, Continuance Pictures is extending the deadline for their short film program by one week. Many writers have been polishing their stories and writing short form scripts to suit their feature projects. The extended deadline gives applicants the chance to hand in their best work and gives filmmakers who have only just learned about the initiative the opportunity to submit. The short film initiative assists in the creation of acclaimed short films and their submission to film festivals around the world. These short films can then be used as a proof of concept, convincing larger studios and investors of the potential of related feature-length films, television series, and franchises. Continuance Pictures is a global project, with connections in Asia and Australia, they jumped at the opportunity to partner with Inner Voice Artists led by Ina Petersen, who previously worked at CAA and Sierra Infinity. Last year Petersen launched Inner Voice Artists, a Los Angeles-based international management and production company. The initiative allows larger studios to grasp the potential of a project and the creators. Writers, directors, and producers can submit their projects via the Continuance Pictures website. “Continuance Pictures are strong supporters of diversity in the media, and this is reflected in our selection process,” explains Gim. Each submission is reviewed and judged based on a range of criteria, including diversity, creativity, originality, and budget considerations. Continuance Pictures are looking to offer qualified, high-concept proposals up to $10,000 to spend on the production’s budget. Writers, directors, and producers who have bold and innovative ideas are invited to submit their scripts to the Continue Short Film Initiative via the Continuance Pictures website before 5 pm AEDT on February 8th, 2019. HEAD TO https://www.continuancepictures.com/short-film-submission/ TO SUBMIT." Gehenna & Hinnom Books 2019 Kickstarter Details: "Welcome to Gehenna & Hinnom Books. To meet the costs required to produce every publication on our 2019 docket. To become a professional paying market. This will allow us to compensate our authors at professional rates, thus paying our authors what they deserve. We have many wonderful projects slated for 2019. 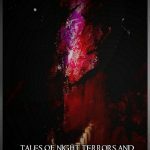 This includes our novelette series, Tales From Gehenna, which will feature several very talented authors in the Weird community. 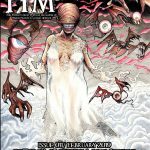 We also have 3 chapbooks, all with distinctive themes, and 4 issues of our staple publication, Hinnom Magazine. 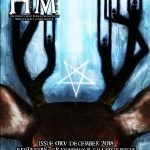 Hinnom Magazine has grown exponentially and developed a wonderful following, even being named as a possible successor to Weird Tales by The Miskatonic Review. Our most ambitious projects for 2019 are the debut collections of authors Pete Rawlik and S. L. Edwards. Rawlik's Strange Company and Others will be a showcase of the veteran author's knack for pulp and Weird Fiction, and Edwards' Whiskey and Other Unusual Ghosts will showcase the young writer's unrivaled talent as a new voice in Dark Fiction. 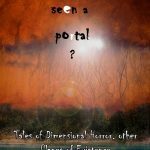 We would be remiss if we failed to mention the support and contributions of a tremendous network of supporting authors and publishers to this Kickstarter, many of which come in the form of unique and exceedingly rare rewards for our backers. On that topic, more about this Kickstarter’s rewards . 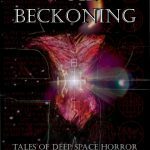 . .
We have carefully crafted a list of wonderful rewards for our backers, encompassing everything from a year’s worth of digital and print publications from Gehenna & Hinnom, to signed copies of T.E. Grau’s I Am the River and The Secret of Ventriloquism signed by Jon Padgett, to artwork from some of the biggest names in horror cover illustration today. All told, this Gehenna & Hinnom Kickstarter is truly monstrous in scale, encompassing a total of 15 published works, and 18 if our funding goals are met in stride."